The mobile app ecosystem is crowded and everyone is looking for an edge. Mobile marketing campaigns rely heavily on customer data, but that data all originates from within, meaning its insufficient to understand the competitive landscape. 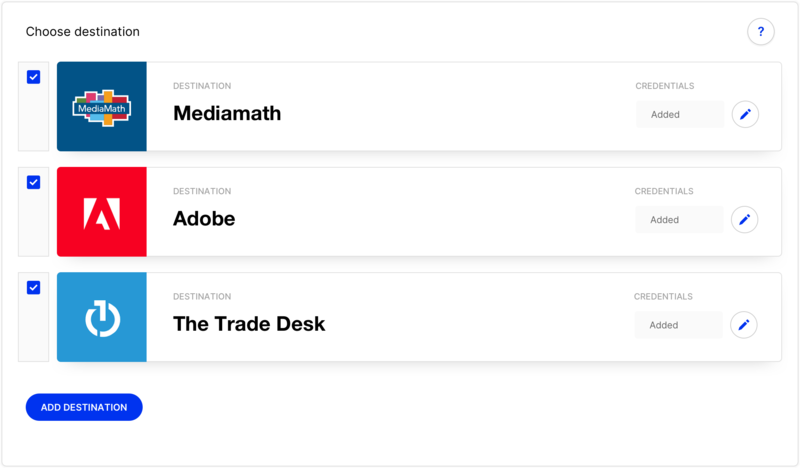 Below we will walk you through an example of how you could use Narrative to better understand the behavior of your users, specific to their engagement with your competitive set. We’ll walk you through how you would push your current users to us, define your competitors, understand the overlap between your users and your competitors, access the data to perform more robust analytics, and ultimately suggest some ways you might leverage the insight derived from the whole process. The first step assumes that you want to understand the behavior of your existing customers vis-a-vis your competitors. 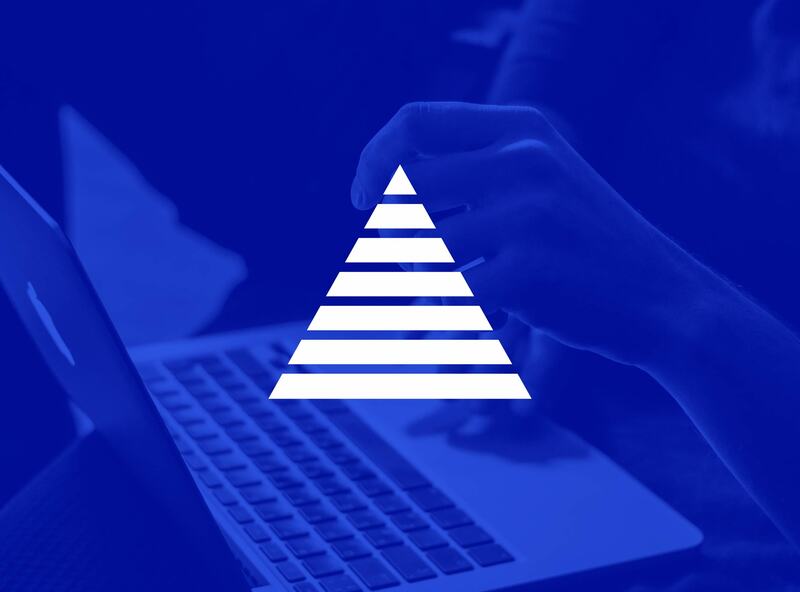 There are a few ways you can send us your existing users – we’re integrated with CDPs, DMPs, and CRMs – including uploading them directly in our user interface. Next, you need to define your competitive set. We’re going to assume, for the purposes of this walkthrough, that you know who your competitors are. You just need to log into Narrative and drop them into this handy form. As part of this process, you’re already starting to get some feedback and information that might be useful. 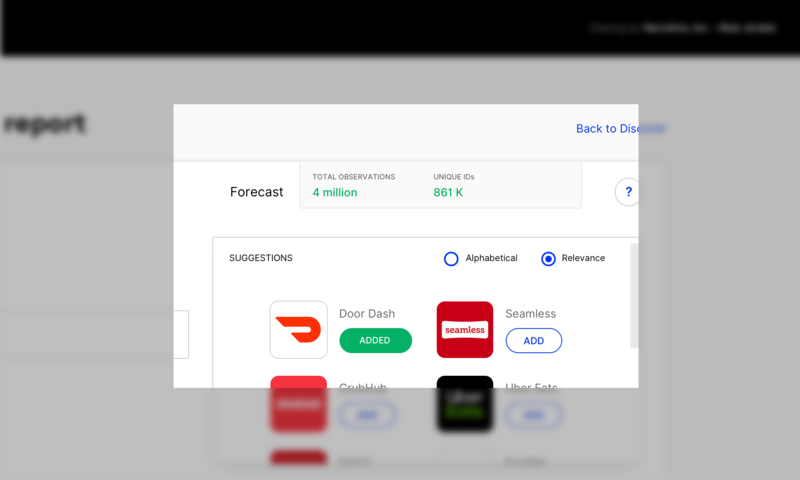 As you add apps, the interface updates in real time with a forecast of how many of your users have each of those apps. While it is important to note that this number doesn’t represent the entire universe of users it will give you a directional data point as to the scale of your users using these other apps. We’ll now take this information and use it to filter down the nearly 250 billion records we see each month to match to both the users you have sent to us as well as those that are interacting with your competitors. You’ve defined your users, your competitors, and we’ve found the data for you. From here, once the data has been purchased, we’ll push the data back to you so you can begin your analysis. The records you are getting back consist of raw data, which allows you to do precise analysis and not just high-level summaries. As with the first step, we are integrated with many customer platforms and often the easiest way to access the data is in one of those platforms. Think of this process as doing data enrichment or a data append, so you can use this information in the systems you’re already comfortable with. Now comes the fun part. You’ve passed your users to Narrative. You’ve defined your competitors. You’ve gotten back precise data about which of your users are spending time with your competitors. Now it’s time to do some analysis. To that, we’ve appended data on three competitors, but instead of just having the competitive information be binary (they have interacted with the competitor or they haven’t) instead the information will be the first date that we saw them interact with the competitor. We’ll start with some basic analysis and look at the overlap between our customers and the customers of our competitors. Now that we’ve taken a look at some high-level summary statistics we can begin to develop a thesis on what the competitive landscape looks like and how we can take that knowledge and create a strategy that gives us a competitive advantage. One of the first things that sticks out in our analysis is that your newer users seem to be more loyal and that they have higher lifetime value. This could be due to improvements made to your app over time. With this insight, one might want to formulate a strategy to re-engage with users who downloaded the app before the improvements were made that are now using a competitive app. With the data now living in your system, this win-back strategy will be easy to execute. There are a number of ways you could execute on the win-back strategy. Remember, you have this data now and you can use it across all of your programs. An easy strategy might be to create a custom audience in Facebook of users who first installed your app in the first half of 2018, haven’t opened your app at all in 2019, but who have been seen actively engaging with your competitors since then. Doing that is as easy as exporting those users from your system and then uploading them to Facebook Ads through their custom audience interface. To make that strategy even more relevant you could upload multiple lists of users, segmented by which of your competitors’ apps they use and pair it with creative meant to resonate based on that knowledge. As you do more analysis on the data you could come up with more sophisticated strategies and test them to determine which one gives you the best results all the while enriching your customer records with more information by leveraging the Narrative Marketplace.